Safety first while towing! For you and fellow road users. 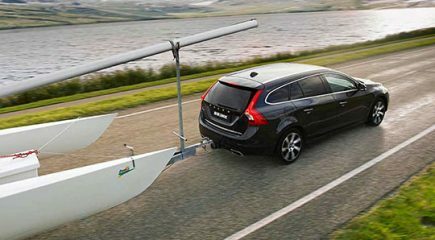 It is the worst nightmare of many drivers who have a trailer, caravan, boat trailer or horsebox attached to their car: the towed object starts to sway more and more wildly while driving until they almost lose control of the car. We share in the fear of this doomsday scenario, together with car manufacturers and producers of trailers, caravans, boat trailers and horseboxes. First, you have a personal responsibility in ensuring your nightmare is prevented from coming true. It is of vital importance that, as soon as you start driving with an object behind your car, you adjust your driving style accordingly. For example, by listening even more closely to your hard-working engine, so you can switch gears on time. Ensuring you take wider turns, to enable your trailer to make the corner instead of mounting the pavement. You should also anticipate other traffic with more attention than usual. Additionally, it is important that you become familiar with your combination. 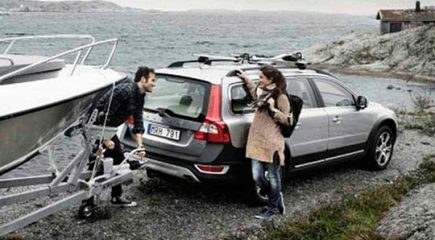 Therefore, we recommend first taking a few test drives before going on a long trip. Make sure you also drive up and down an incline, such as a bridge, and practise reverseing. 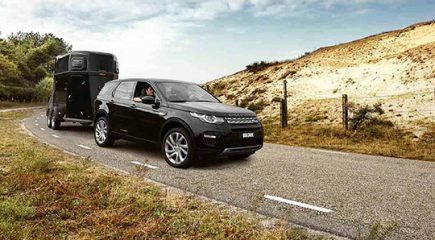 Of course, the biggest responsibility for guaranteeing safety lies with us as supplier of towbars, the official car manufacturers and the suppliers of trailers, caravans, boat trailers or horseboxes. They have all developed several safety systems which can make your trip as safe as possible. We are loading your products. This can take a few seconds. Brink capitalises on the Electronic Stabilisation Programma (ESP), with which most modern cars have been equipped. 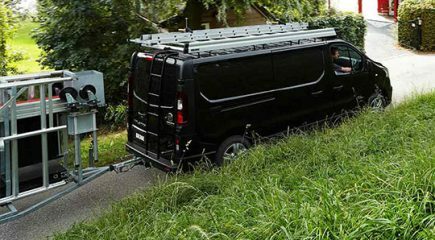 With our wiring kits, ESP can be expanded with the Trailer Stabilisation Programme (TSP), a safety measure that immediately corrects ‘snaking’ of your trailer. An overrun brake is a safety mechanism installed on the drawbar of your trailer, caravan, boat trailer or horsebox. It ensures that the object behind your car does not push you forward if you brake or slow down. The handbrake breakaway cable is a security measure that should always be present on the vehicle you want to tow with your car. However, even with all security measures in place, there is always a small chance of this dangerous situation occuring. This is when the handbrake breakaway cable proves its worth. Perhaps you do not have much experience with driving with a trailer, caravan, boat trailer or horsebox or are scared to do so. In this case, taking the course is highly recommended. You can learn the most important driving techniques in only a short amount of time.